Bored with your own style? Need help breathing life into it? This article is not about what you need to buy, what you should ditch, or even about trends you’re probably too shy to embrace. Let’s work with what you already have in your wardrobe, shall we? Today is all about polo shirts, chinos, jeans, that old tweed blazer – those items you wear every day, continually replace with more of the same when required, and have a really hard time letting go. But, luckily, there’s no need part with them, replace them or rethink your choices if you don’t feel like it. We’re just encouraging you to look at these core pieces with fresh eyes and mix things up a bit. And we mean everything: jeans and a t-shirt, chinos and a shirt, shorts and a polo. It really doesn’t matter if you’re wearing trainers, your tee has seen better days or all your mates will be in hoodies. That navy blazer you keep saving for special occasions will make a great new staple. Even when you think the occasion doesn’t call for a tailored jacket, it will instantly take your look up a notch in an effortless way. So long as your legwear is cut slim and fits you perfectly, you can’t really go wrong. Give it a go when you hit the pub this Friday and let us know how it went. 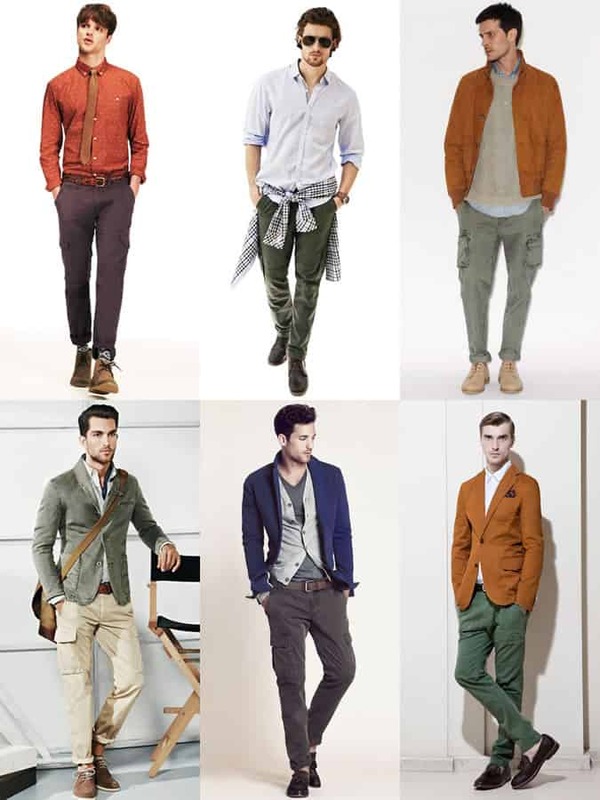 Those new streamlined cargos you added to your wardrobe this year, which you’ve been wearing with a boring t-shirt and trainers to go shopping for groceries on a Sunday afternoon, may just be the perfect replacement for your chinos in smart-casual situations. They’ll give you a new, refreshed casual Friday look and eliminate the dorky-factor from your go-to chinos and jumper getup. A nice woven belt, Oxford shirt and pair of brogues are the perfect accompaniments. Make sure you adopt this change the next time you visit the supermarket too. They look great layered over a shirt/t-shirt, keep you warm when temperatures drop and finish off any good look. Of course, we’re talking about your trusty collection of jumpers. Yet rather than replace your existing versions, the change we want to make here is purely to the styling of them. When faced with changeable or unpredictable weather conditions, which we’re likely to experience during the transition from summer to autumn, draping/tying your jumper around your shoulders/waist will help add a nonchalant, preppy touch to your casual attire. this technique works with shorts, chinos, jeans and even cargos, which we’ve already recommended, and means you are always prepared for a sudden drop in temperature. The majority of us will often feel we need a collar, long sleeves or generally anything smarter than a t-shirt when getting dressed in the morning. Then we put on a shirt, and end up thinking we don’t look cool enough, especially for casual occasions. 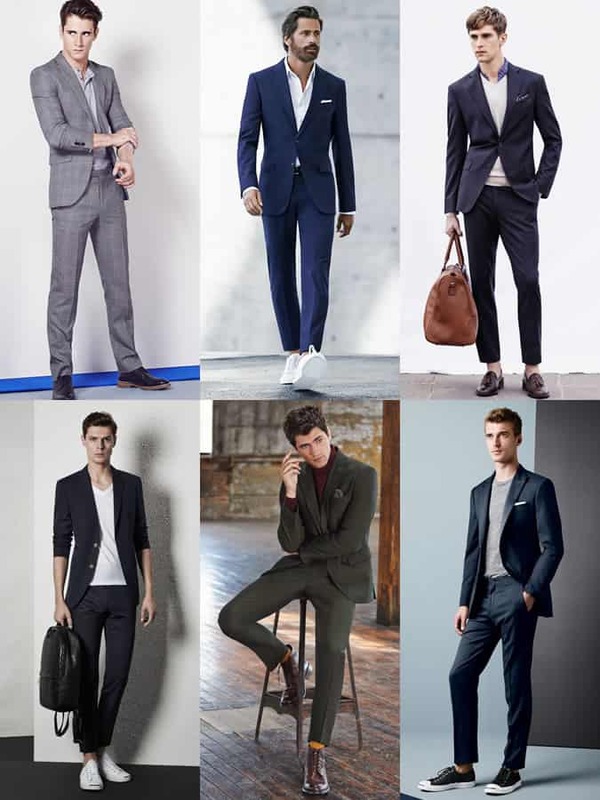 Aside from a suit, men generally look their best when wearing a simple jeans and t-shirt combination. Classic, masculine and slightly rebellious, this go-to pairing has stood the test of time and been sported by everyone from James Dean and Marlon Brando to David Beckham and Alex Turner. With this in mind, take your basic white or grey (black/navy also work) t-shirt, combine it with dark wash jeans and wear it to social occasions, on show. Make sure it fits you perfectly – sleeves should finish mid bicep, while the body should be cut slim through the torso and end a couple of inches below the waist – and you cannot go wrong. To give the look a contemporary twist, try a pair of white jeans or layer it under a piece of outerwear – whether it’s a rugged leather biker, sharp mac or military pea coat – with nothing else. We mean really dress them up, with a blazer, shirt and tie, fine brogues or even a dinner jacket. 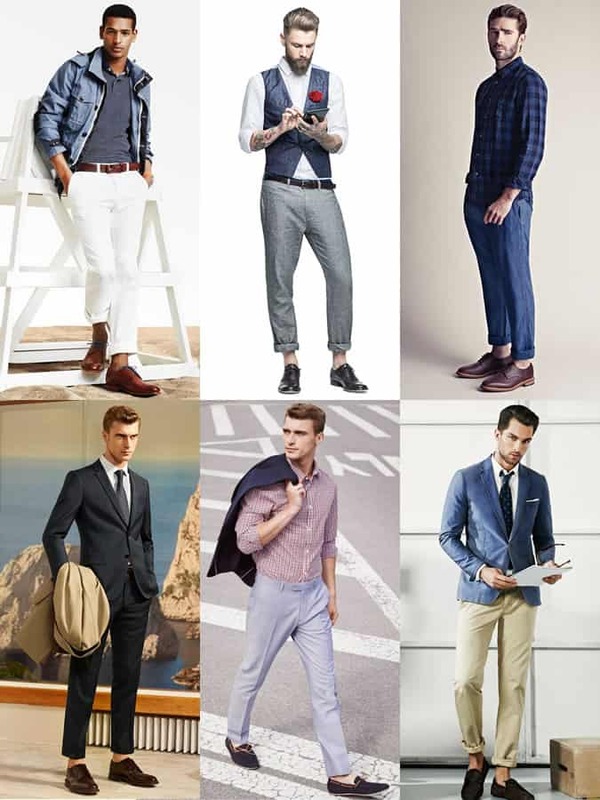 Wear them on a big night out or dress-down Friday in the office to stand out from the tailored chinos/trousers crowd. This unexpected styling twist will break down any sense of stiffness you might be subconsciously sending out at the moment. 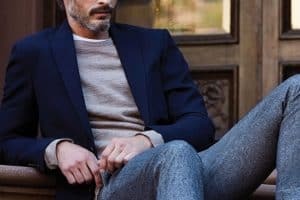 At the other end of the spectrum, as the weather cools down, wearing your trusty summer suits with a roll neck jumper, long-sleeved Henley or v-neck cotton knit will stretch the wear you’ll get of them and open up a wealth of new styling opportunities. This dressing down tip extends to swapping Derbies, Oxfords and monk-straps for loafers or minimal trainers, losing the belt, going tieless and even pushing up your sleeves. Your new best friend. We don’t mean the oversized one you lounge around in at the weekend, but that well-fitted grey crew neck one, preferably with that ribbed triangle detail just under the collar. Got it? It looks great worn with nothing underneath, paired with jeans, chinos or trousers. Think of it as a replacement for your casual shirt. However, because it’s a rather warm piece, save this tip for autumn and make sure you don’t try it with a fleeced version, which will quickly become uncomfortable against your skin. Bonus Tip: Layer your best coat over it as we progress into winter and finish with a charcoal/grey beanie. You might hear more conservative gents saying you look sloppy, but showing a bit of ankle skin before it gets too cold is a bold styling move. It works with everything from selvedge jeans to tailoring, and should be done if your trousers are already slim-fitting with a minimal break (turn-ups on jeans also accepted). Bonus Tip: This will call attention to your feet so, please, good shoes are mandatory. You will also want to invest in some invisible sock liners and talcum powder in order to keep your feet dry and comfortable. Yes, you already rock the tried and tested shirt and v-neck jumper combination, along with the aforementioned classic jeans and t-shirt pairing. 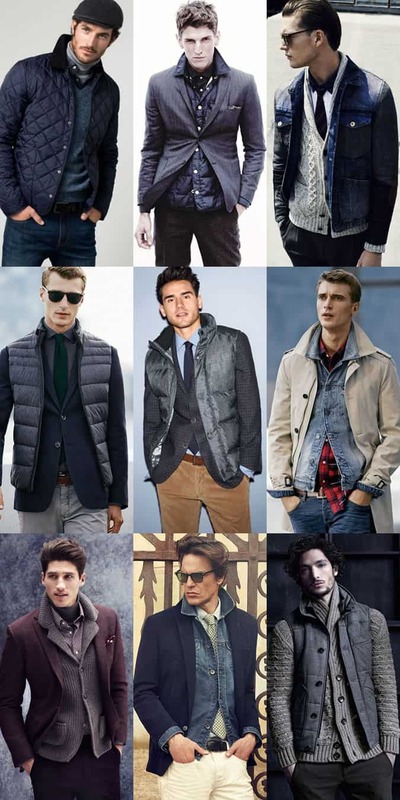 But what about a canvas over shirt on top of a roll neck jumper, a denim jacket under your blazer/overcoat, or a leather jacket over your shirt and tie? Make sure your attire has a surprise element in one of the layers – something that takes you to whatever the occasion is with a hint of rebellion and individuality. Again, it doesn’t hurt to be the odd one out whenever possible. 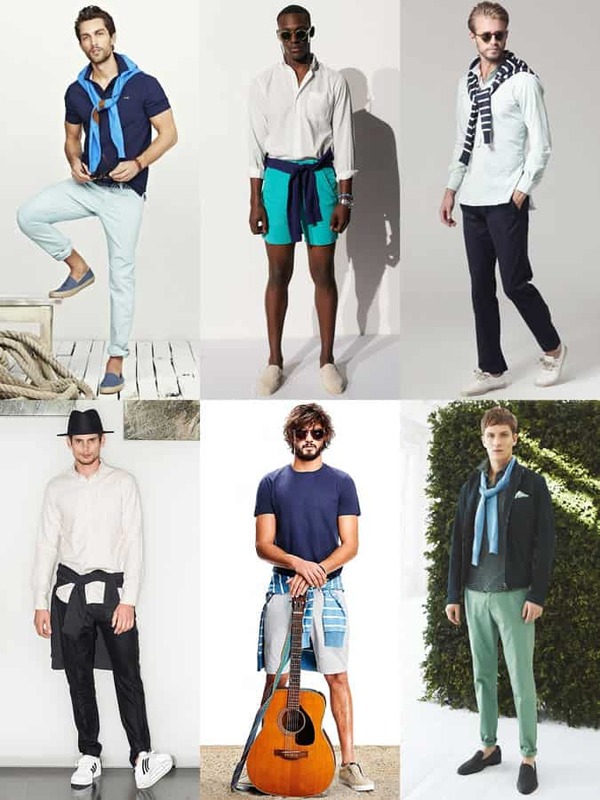 Why not reinvent your look by offsetting the prim and proper styling? We’re sure your bright belt is dying to meet your grey flannel trousers, and that your canvas rucksack would love to go for a spin on the back of your smart double-breasted overcoat. There you have a few out-of-the-box ideas to help you make the most of your all-time favourite pieces.